I suppose as a thrifty blogger money and it’s transactions is bound to interest me. Even little kids love to play with cash registers don’t they? I think they love the ting of them and the handing out and putting away the money. I have to say I loved playing shops with my toy cash register as a kid and in turn my kids have too. Imaginative play is such great fun isn’t it! There is something really beautiful about vintage cash registers too. But cash registers are of course serious business and if you own a small business a cash register and the right cash drawer are going to be prime concerns. I remember working on the high street at a Saturday job in my teens and I would get anxious when the till was open and always felt better when the cash was removed by the duty manager. Anyway to cut a very long story short,money was going missing during my Saturday shift and during that time there were 4 of us using the till. Unbeknownst to us we had security guards watching us. It turned out it was the superviser who was taking the money! But what a horrid situation to find out we had all been under suspicion. Despite security cameras and tracking, robberies still occur and you have to be careful about monies left in tills. Large amounts of cash are always threatened by prying eyes and sticky fingers. Cash drawers are really important and they need to be sturdy and secure in order to keep monies safe. 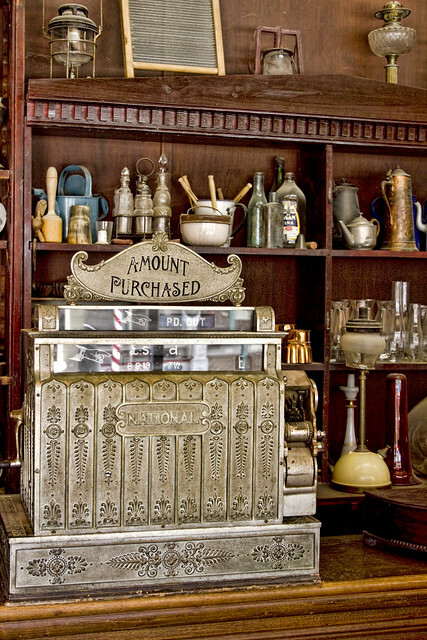 Originally, a cash drawer was either an integral part of the cash register or sat underneath the register as a separate part. When a sale was complete, the drawer would open and money would be put in the right spot. When it was time to count the money, the cash drawer would be manually released and pulled out of the register. Why Is It So Important to Invest in the Right Type of Cash Drawer? Modern cash drawers can do so much more than hold cash. They can help with cash management, reduce theft and improve employee accountability too. Nowadays a cash drawer is associated with a particular user login, so the same person with multiple login names could have several cash drawers open at the same time. When you open a cash drawer, you will enter the initial amount of cash given to the user. Then, as cash transactions are made, the cash drawer can track the remaining cash balance in the drawer. Receipts of cash increase the balance, while disbursements of cash, which happen when change is given to the customer, decrease the balance. A real step up from my days. The POS cash drawer supported by ecommerce solution provider such as Shopify is amazing. Shopify POS is a point of sale system that lets you easily sell products, process payments and manage your on or offline store — all from an iPad. To make a sale you would simple browse your online catalogue, select products, swipe a credit card, and print or email the receipt. That’s all there is to it. You get hardware to analyse your metrics and manage inventory. Hardware includes a cash drawer, stand, receipt printer and a barcode scanner. I would say the future is definitely headed towards a tablet-driven POS world. I think the toy cash registers of the future are going to look very different don’t you!